The #if, #else and #endif are conditional directives and are used to decide on the parts of the program to be included or excluded. The #define and #undef are definition directives used to define terms and values. The #error and #warning are directives used to report errors and warnings. The following example defines the term ‘TEST’ using the #define directive and the conditional directives are used to check for the definition to execute the set of statements required. 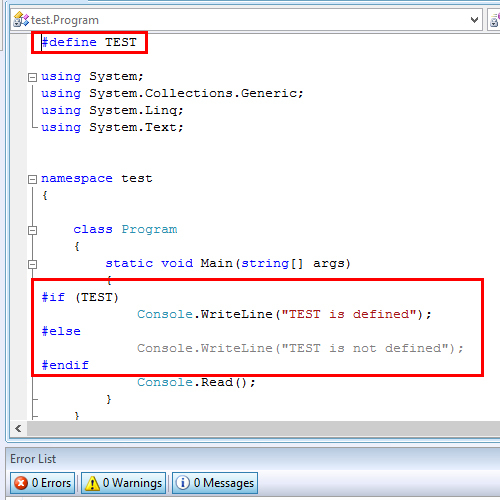 The #if directive in C# checks for the condition. 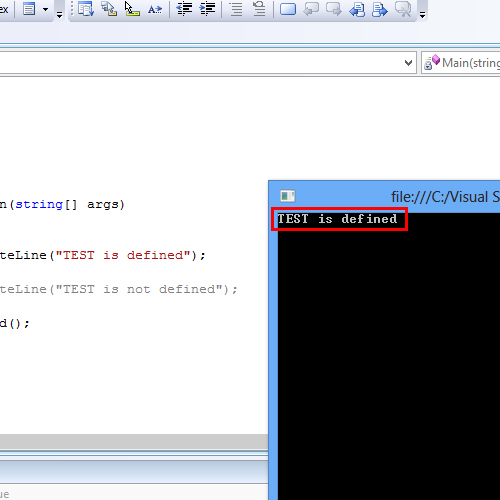 Since TEST is defined, this returns a true value to the if directive. The statement inside the #if directive gets executed. This prints ‘TEST is defined’ on to the screen. 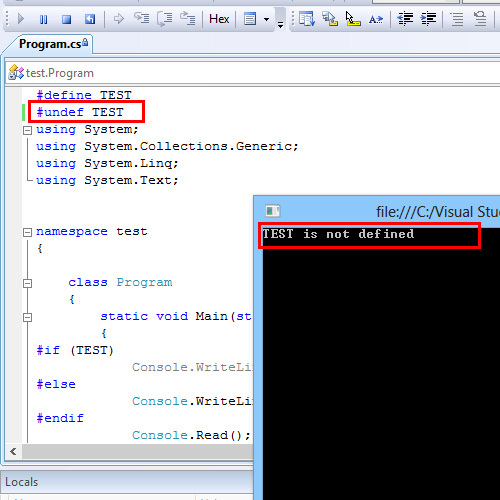 The #undef directive in C# can be used to undefined ‘TEST’. In this case, the statement below the #else directive gets printed.